One sometimes unintentionally recovers or discovers the truth. 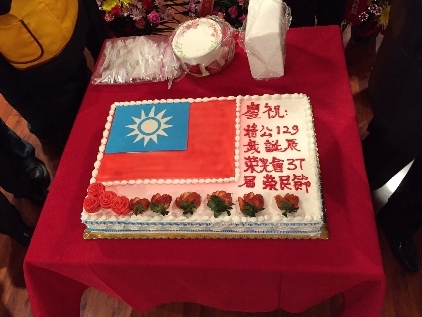 Yesterday, I stumbled on a forgotten page of history, when the US trained Chinese Nationalists to fight fascist Japan, as I attended the 37th anniversary of the founding of the Republic of China Veterans Association. 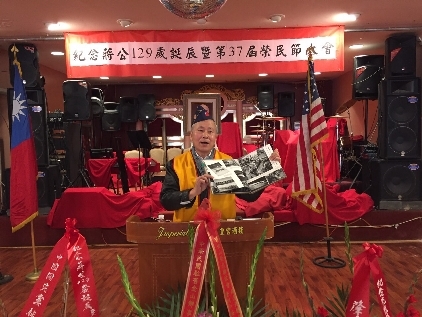 The keynote speaker Mr. Huang Jialiang introduced how the Nationalist pilots received training at Colorado in 1944. The Chinese Nationalists already had three branches of service, while the US Air Force was a latecomer in the formal structure. 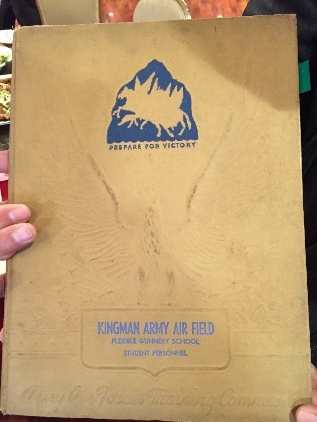 The Air Force was part of the Army as the Army Air Corps from 1926-1941 and the Army Air Forces 1941-1947 before being split into a separate branch. The Doolittle pilots as members of the Army Air Forces in 1942 were all daring volunteers in taking off from a US aircraft carrier to bomb Japan, to stop the gruesome racial cleansing by the Japanese imperial empire. In 1944, a group of 24 Chinese pilots were brought to Colorado and trained alongside US Army pilots. Because of these dedicated American advisers, the ROC survived, recovered Taiwan, and held on to the sovereignty, allowing us the dignity to live, and not being under fascist or communist control. During the 1949 battle in Quemoy, the US Navy advisors helped the Nationalists to resist the Communist invasion. 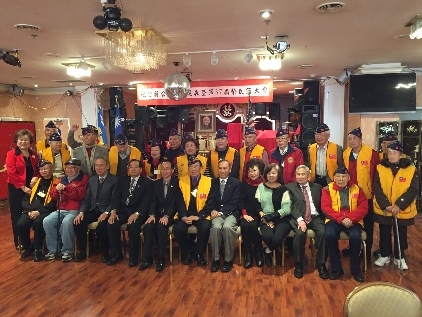 Thanks for these Chinese Nationalist veterans who fought for freedom. Thanks for the US Military support to repel Communists from taking over Asia. When Russia sent 99 warplanes to the PRC airfields in Shanghai ready to attack Taiwan, American military assisted the Chinese with defensive weapons. Although the Nationalists and MacArthur wanted to recover Mainland, Truman and State Department Acheson decided to let Taiwan get taken by the Communists. Love is not to drift in mist in howling empty slogans about loving China. Nor is it to speak of loving Taiwan, but it should be working toward her freedom and dignity. The point is ROC government, military and civilians all worked hard to give China mainland and Taiwan island liberty and dignity with precious blood shed of 3 million souls. The Nationalists modernized China during the 10 years between founding the National capital in 1928 until the eve of the Japanese invasion in 1937. This made it possible to win against Japan because they had an economic and financial foundation to organize the defense of China. The Nationalists defended Taiwan during the cold war against the Soviets and mainland Communist PRC with ten infrastructure reconstruction works. Many veterans turned into a Bureau of Veteran Workers, and constructed the first highway and other works. We should never forget their dedication and lifelong works for the country. We do not deserve to be taken over by the Soviets and PRC on the mainland portion, nor should the Taiwan ethnic hate bias be justified to build a DPP joy land by offending others' rights to empower their own Japanese biased imperialism against the impoverished veterans. We need to ask both the Communist Party and Taiwan Democratic Progressive Party to recognize historical authentic data and treat the Chinese Nationalists with historical weight on human rights. We urge both CCP and DPP to respect all people's human dignity. I surmise the CCP and DPP all try to justify their taking over of the credit of the KMT hard work. If we all try to meet on a peace bridge, the first thing to do is to recognize the great sacrifices and contributions that the ROC government, military, and civilians have helped to advance mankind, so we all live in a better world without fascists.